Beer is increasingly replacing wine and brandy as the drink of sophistication in Lithuania. Walking through the streets of Vilnius at night, it is hard not to notice the many bars crowded with people sipping all sorts of specialty beers. 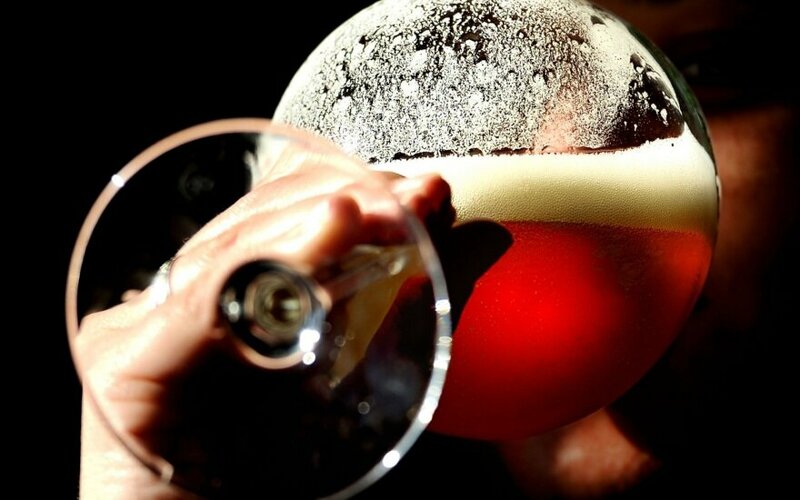 Beer connoisseurs and sommeliers are enthusiastically confirming this trend. On any given night it is busy in Alaus Biblioteka - or simply the beer library. The library is located on one of the narrow streets in Vilnius Old Town’s nightlife area. Founder and owner, Tomas Bartninkas, often found behind the bar, was the first beer sommelier in Lithuania. He believes that the growing interest in specialty beer in Lithuania fits into a worldwide movement. Where people used to go for quantity and did not so much care for flavour, they are now inclined to opt for quality and experience. Bartninkas states that this development is even simpler to pin point in Lithuania: "Our country, for the longest time, was basically sitting in a prison. We only had one of everything; one political party, one type of car, one type of beer. Now we are free, and with that comes choice. Of beer too!" The sommelier believes that it is not just the bars in Lithuania that are relaying focus on craft beers, brewers too are trying to reinvent the wheel. "They are starting to come back to the roots of brewing. Smaller breweries nowadays get more attention too. A great development, if you ask me," said Bartninkas. Now that the beer renaissance is taking the country by storm, it poses a challenge for big breweries. They too have to change with the times. "And that is exactly what we are doing," said Jonas Lingys, a beer sommelier at Švyturys. According to Lingys, Lithuanians know about brewing, but what knowledge they miss is of beer culture. "In Lithuania, beer has for a long time been seen as a less sophisticated drink, because you would pair it with fried bread. It is seen as just an alcoholic beverage, not as a drink that can have different styles, flavours and aromas." Lingys travels through Lithuania, visits bars and restaurants and talks to their staff and owners about beer. He notices that the perception of beer is changing, but at times comes across the outdated mindset he is trying to eliminate. "Two years ago I was in a bar in Vilnius and I asked what kind of snacks they had to go with my beer. They answered: ‘we have fried bread’. I asked if they also had some other snacks, such as smoked cheese, ham, beef jerky, olives, or sausages. They outright told me I could not choose these as they would only go with wine," said Lingys. That beer would do under for wine, Lingys considers illogical. Maybe even, Lingys states, beer is more interesting than wine. "Wine only has two ingredients, whereas beer has four. 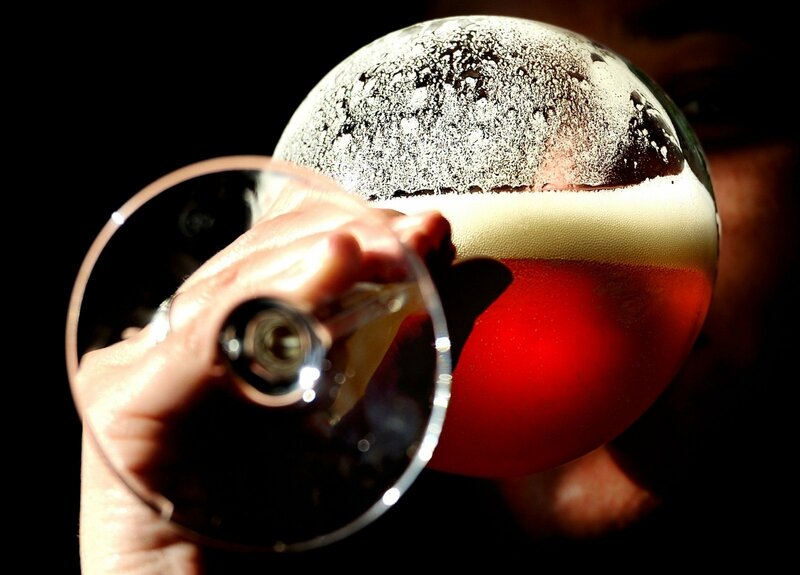 That is why you will find so many different aromas in beer." Both Lingys and Bartninkas believe that, even though the beer renaissance is well on its way, some education would still be helpful. "We at Alaus Biblioteka try to present the beautiful scope of beers of the world to the Lithuanian public," said Bartninkas. At Alaus Biblioteka the beer, which you will find on the many shelves lining the walls, is organised by a periodic table that outlines flavours. As well, there is a wide array of glasses hanging above the bar. "Different beers require different glasses; the same as with wine and brandies," explained Bartninkas. Along with this periodic table and glasses, Bartninkas has a unique philosophy when it comes to giving clients what they want. "When people come in and ask for a certain color of beer, we then ask them first what kind of beer it is that they want. You don’t choose beer by colour, but by flavour. We go on to ask them if they like sweet or bitter, stronger or weaker, hoppiness, bread or even chocolate. We believe taste is king, and the style just helps you understand which beer it is you like. We then, are not drinking beer, we are reading it." Lingys abides by a similar credo: "With one sip of beer you get many different and very intensive tastes." And that is, according to him, where the problematic mindset still arises in Lithuania. "It is difficult to tell Lithuanians that there are so many beers out there, and so many different types, because they believe that a good beer is a pale lager without any orange peel, vanilla, coriander or a note of coffee beans. It is hard to explain to them that it is still beer, but just different," said Lingys. Lingys, who is continuing his touring of Lithuania to inform people of the renaissance, believes that it is important to remember that "people change habits. If they used to be more into whiskeys and wines, now they are turning to beer. They see that there is more and more craft beers – not just lagers – and they get more interested. We have many pubs and bars here that are only focused on beer, so it is a good thing for them if they want to get rare beers on tap." The world of beer is a large one, so anyone just venturing into it, might find themselves stunned with choice. The first step then, according to Lingys, is to get some different beers, and try them all at once. 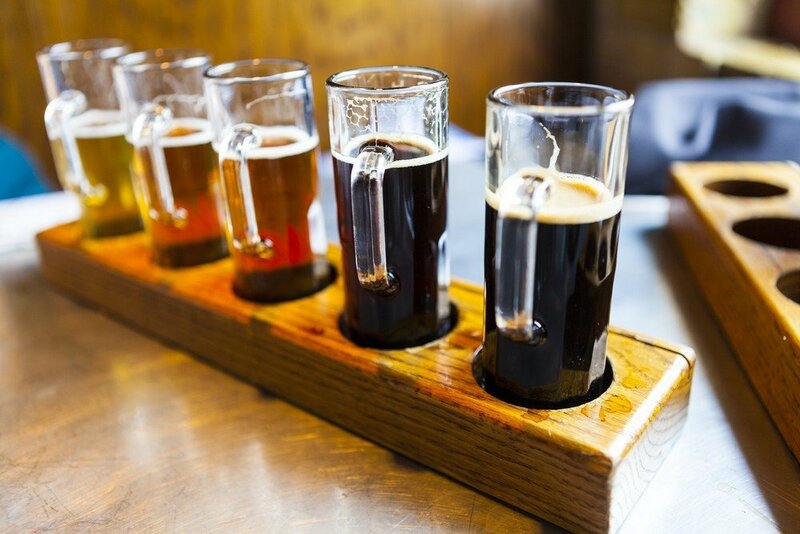 "Then you can check how each beer is distinct, and taste beers you usually wouldn’t get." Bartninkas would add that you should branch out and leave your comfort zone once in a while. "There is so many nice flavours out there that people do not know about!" Beer is no longer the drink people thought it was. Bartninkas: "People no longer ask for the biggest glass, or the cheapest beer, they asks for a beer they love."